The TeamsCompete Scheduling Service delivers a complete season of games to your league. We work with your organization to take scheduling and its associated workload off your hands; allowing your clubs and teams to concentrate on playing the game. It’s simply Better League Scheduling. Historically, existing software options have not addressed the myriad challenges of scheduling youth sports leagues. Thus, most leagues rely on capable and dedicated volunteers armed with basic spreadsheets to accomplish a substantial task. Using this method, the game scheduling process takes a volunteer between 75 to 90 minutes per team each season. Better League Scheduling utilizes our propriety SchedulingEngine software. 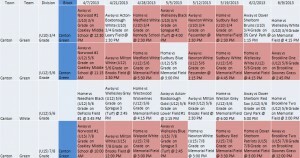 The software is designed to support the Scheduling Service by : Collecting and Confirming the Season Data, Generating and Optimizing the Schedule, and Reviewing and Publishing the schedule. TeamsCompete works with your existing registration system to capture season data. After uploading each club’s registration data into our SchedulingEngine, TeamsCompete sends confirmation emails to each club to validate submissions. Confirmations are tracked in the SchedulingEngine and flagged as completed. Every league receives a dedicated email account to communicate with TeamsCompete’s schedulers. The SchedulingEngine generates an initial schedule based on data we collect from the league. 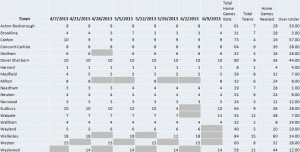 We then optimize this schedule to meet various season scheduling criteria. During the optimization phase we process various club special requests, ensure all teams have a balanced home and away schedule, adjust games to keep blocked teams together, and improve travel time and other metrics for teams. We also review each facility to confirm that the games are properly sequenced for referees and age group usage. When the schedule is nearly finished, we share the draft with your league’s member organizations to obtain feedback and validation. 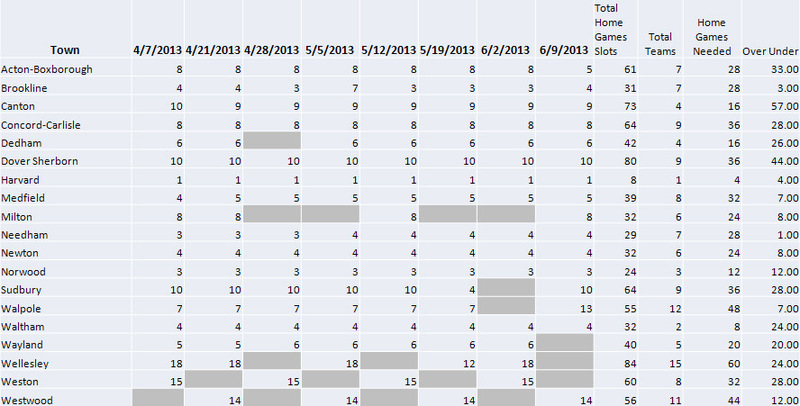 The schedule we share is an excel-based, tabular report. Each member organization has unique pages displaying a preliminary schedule for each team in the organization. 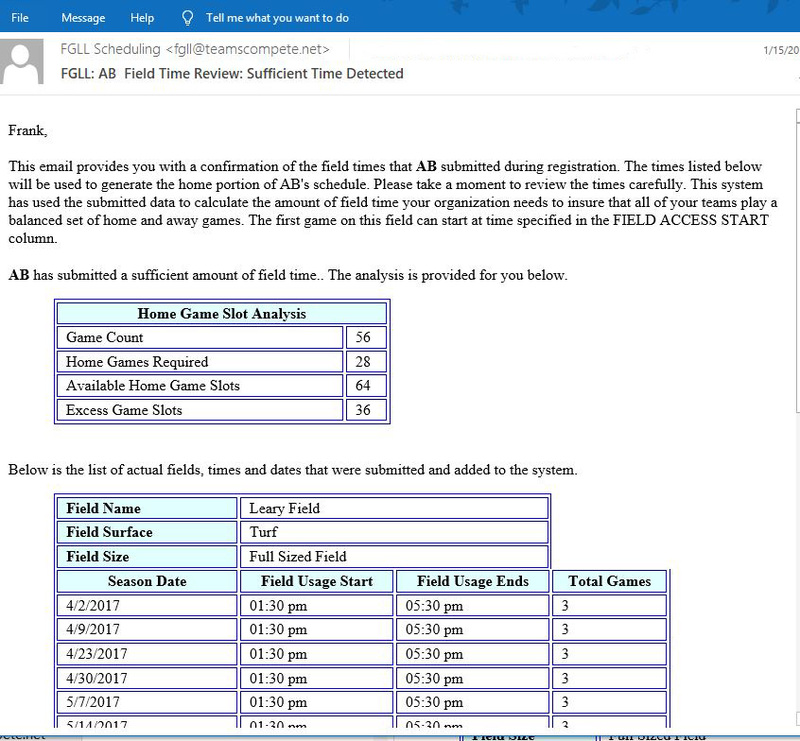 Other pages in the report include league wide listings of field availability by organization and actual field usage. Reports are highly customizable. TeamsCompete collects feedback on the preliminary schedule through on-line forms that are dedicated to your league. The collected feedback is used to revise and refine the schedule. 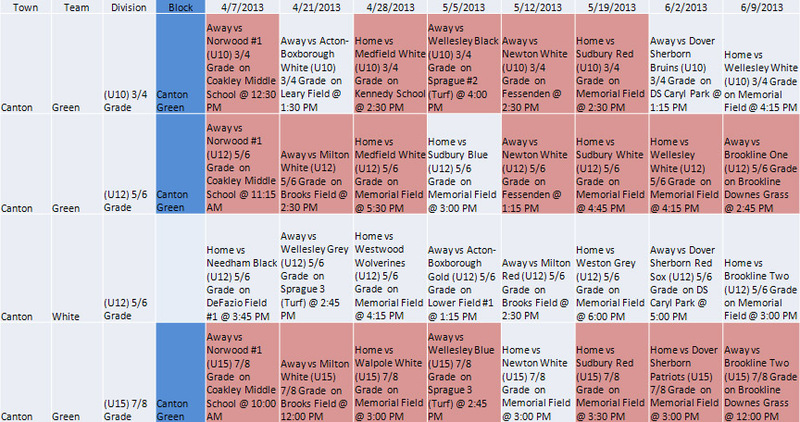 The final schedule is exported to your league website. As the season progresses, TeamsCompete can provide support to your league in numerous ways. We can update and manage a league’s website content throughout a season. We can work with a league’s dedicated coordinator to optimize referee assignments. We can process game time, date, and location change requests. Frequently, game change requests present complex issues that challenge the scheduling criteria established by the league. TeamsCompete can act as a central point and neutral party to receive and process game change requests, involving the league only when a requests violates protocol or creates an unbalanced or unfair situation.